The innovation of the season – snow profile! 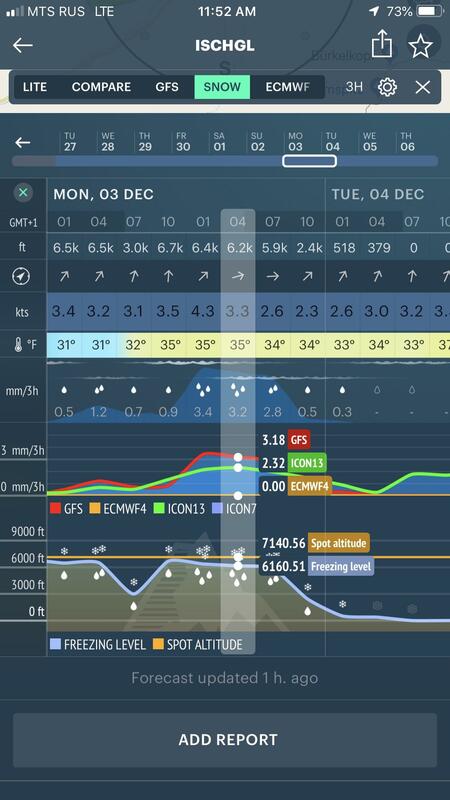 Windy App launched the development of forecast and information in the mountains. Many users are fond of winter sports – downhill skiing, snowboarding, winter kiting and others. We are glad to announce you the snow forecast in most popular spots for riding all over the world. Yet today Windy App shows the freezing level chart, precipitation forecast, precipitation comparison among different weather models, general forecast on the spot. Windy App is ever-developing the functionality of the snow profile. But as we speak you may check it out (the season has already started) and share with us your impressions and thoughts. We are always open to new ideas from our users! And our novelties are based on your comments and questions!